I will get around to more historical items in the area later on. For now we will focus on photographic opportunities that will be taking place in the next couple of Months. Sunrises and sunsets are always a great, but we are in for some nighttime displays that don’t happen very often. I usually plan my trips based on moon phases so that I may catch/see something a little different in the Canyon. I have a link at the bottom to Moonrises, moonsets and moon phases In the Sault Ste. Marie area. This is a great site that makes it very easy to get the information you need. It even gives you the compass reading to where the moon will rise/set that will make it easier to choose your location to take pictures at, especially if you want to catch some of Northern Ontario’s white pines in your photograph. This was shot in 2004 with a 2mp early digital camera with a tripod and remote. The small cameras are so much better now and that makes it much easier to get your shot. Take some time to practice the nights before. Go online and ask for specific tips to get night shots with your camera. You don’t need to be an expert in compass reading either. If you compass has the degrees on it, just set the compass to magnetic north and look for the corresponding marks on your compass. If you are not sure you can practice the night before so you are comfortable with what you are doing. On August 10th we have a “Super Moon” that will help illuminate the Northern Ontario Landscapes plus there is also the peak of the annual Perseids Meteor shower Aug. 10 – 13. For the meteor shower you may have to get up early before sunrise after the moon has set to catch sight of the smaller meteors. In September you have another “Super Moon” on the 8th. Fall colours may have started but it is always worth watching the sky. You never know what may appear. This was from my Fall 2012 (Sept. 29) trip full moon lighting up the fall colours, and some Aurora to make things really exciting. The hard part was it took 25 years of going to the canyon to get this shot. October this year brings a chance at a rare opportunity. On the full “Hunters” moon of the evening of the 8th (with a chance of fall colours ) and going into the morning of the 9th there will be a “Blood” moon, a full lunar eclipse beginning at 06:25 am EDT with the maximum eclipse at 06:55am EDT. Which gives you almost 1 hour to play around and get your shot. You really don’t need to go to Algoma for this but you should! As I have found out the beauty of the area always gives you great photo opportunities no matter what the season. Sometimes you just have to sit and wait for it. Link to Moonrises, moonsets and moon phases In the Sault Ste. Marie area. And here is a little youtube slide show to give you a few more reasons to go. Maybe one of these times I will share the secrets of the mists of the canyon. Edit : Also don't be upset that your moon isn't giant in your image. There is a lot of photoshopped moons out there. What they do is they take the image they want to show case and then impose a separate shot of the moon on the first image. Unless of course you zoom in on the moon. This image from the badlands in South Dakota is a full moon shot. but the setting sun behind me lit up the landscape perfectly. So the Answer is like real estate - location. 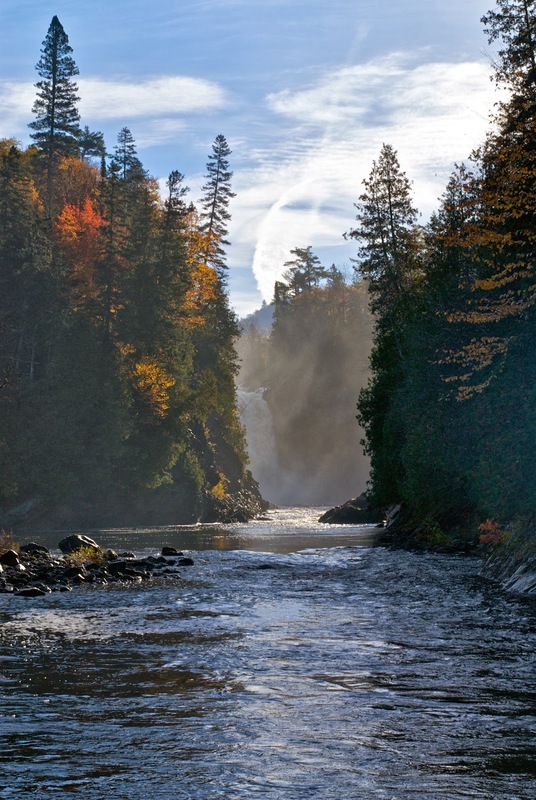 About the Agawa…. 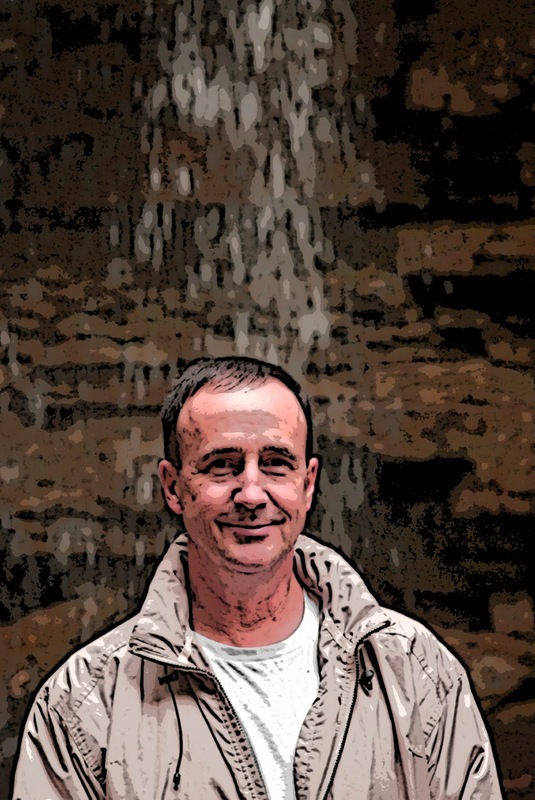 Introducing the author. To understand how and why I ended up doing some pretty intense research on the Agawa River, you have to know a little bit about what attracted me to the Agawa River in the first place. The Agawa sounds and looks like many rivers around the world, but there is, and are many visual and spiritual aspects to this river and area. When I started to paddle the Agawa I had no intention of paddling it more than a couple of times. After competing at an International level for ten years it was time run some of many rivers and routes available in Canada. This story jumps decades and centuries, from my near past, to the present and back to over 100 years ago. It is not necessarily the individuals, some famous and well known and others just normal people attracted, drawn by fate to the Agawa River and this area that connects us. I started to paddle canoe in 1967 and started to white water kayak in 1968. I am a past multi National Champion in White water kayak racing and also in Sprint paddling. I went to 3 world championships (77, 79, 81) but also competed Internationally in C1 and C2 Slalom. I had the pleasure of paddling, training and interacting with the who’s who of the paddling world for over four decades. Some of them have passed on but the memories will always be there and thanks to the internet their paddling accomplishments can be viewed today. After finishing competing I coached the Ontario White Water Team and Instructed for 10 years before following my kids interests that took me in a different direction but I still had lots of time for recreational paddling which was probably a good thing as I learned to slow down and enjoy the rivers more. So after 45 years involved in paddle sport the story begins….. In 1976 while traveling across Canada to go to a National Canoe and Kayak Championship in Alberta, we were stopped on the Hwy. 17 bridge, where it crosses the Agawa River. My father, like many other veterans, did not speak much of their experiences in WWII (Mid Upper Gunner Lancaster Bomber). I was riding shotgun on this part of the trip when he turned to me and said that he worked up here after the war as a Telegraph operator on the Algoma Central Railway (ACR) and he would like to go back up and paddle in the area. It is here where I found out he was taught bush craft and how to paddle by a First Nations member, so my roots to paddling was that of a gift passed on from a great heritage of outdoors people. Sadly he never did go back, but the seed was planted for me to venture into the area. My first trip in 1985 trying to find information on the river was challenging to say the least, as maps and details of the river where not very informative. We knew there had been logging in the area and that the Group of 7 had painted there, but this was of more of a personal search of the area where my Dad had wanted to go. 3rd. week September 1985 very high water, snow for 2 nights and more rain. Just your typical fall in Northern Ontario, but boy was it spectacular! Falls where Eleven Mile Creek enters the Agawa. That is my wife Anne in the kayak. What started as a plan for one or two river trips soon became an annual pilgrimage, each time finding something else to return and search for, and as the internet provided the ability to research more, the more there was to try and find. Up until the fall of 2011, I was unaware of the vast information available on the Historical Forestry Database from the Sault Ste. Marie Library, so on my past trips, little was known and I just wandered around following the hidden steps of those who worked and traveled here before. So I will share with you what I found and then explain what got me to dig much deeper in the history of the area. I have been doing this as a single vehicle trip since 1985 and it is actually quite easy. It is only a 9km hike from the bridge where the Agawa meets Hwy. 17 back up to Frater and only twice have I had to walk the whole distance with out getting a ride from someone. Each time I was picked up it was by someone on a return trip to the Canyon. One year I was picked by a 70 year old who spent time at one of camps when he was a teenager, he gave me his number and asked if I could take him on the trip next year, he promised he would do all the cooking. I can only assume he passed on because when I called the number in August before trip, it was disconnected, and all searches failed to turn up a new number. I was also picked up one year by the 82-year-old grandson of one of the surveyors that marked the lines through the bush for the ACR over 100 years ago. (More to come later in the story) And this was not the only instance of meeting people heading back into the Canyon, hikers, fisherman, ice climbers and paddlers too! And yes for some of us the Canyon has that kind of pull. Ahh but I digress, to keep this post from becoming the epic novel I will expand later on some of cool things that I have found out about the area, because I really did not discover anything here, I have merely found where some of the information is and I am sharing it with you. People have been coming to the Agawa for 1000’s of years, attracted not only by the naturally protected Harbour on Gichigami, (Lake Superior) as told in the pictographs of Agawa Rock, but for the fish and game, the natural resources and tourism as the centuries passed. There are many different stories some well known and some are not. Those stories all deserve the respect to be known, because each one will touch someone else differently. I just happen to be very happy to be in the presence of them all, because you never know who is watching your trip. Hint, check out the clouds. You will notice I take a lot of pictures, it used to be slides and film and now digital. This hobby helps “slow down” the trips and makes you feel the Canyon. For the most part I do not photo shop the images or shoot in high definition. I will remove some of the shadows and tinker a bit with the minor settings. I like to show what you will see and the area is and at the right time of day or conditions. I do like some of the high def. and infrared images, they are very artistic, but you will never see those images in real life. And sometimes you have to wait for those special shots. It took 27 years to get this one. Update - 2017 marks my 50th year of paddling! Not a whole lot of new stuff to add about me since I first wrote this, but it is great to keep visiting this area.